I'm not sure what to aim for first, swirl or pecan or dough.... mmmmm, the dough is nice and sweet, no complaints there. The pecan is, well, a pecan. There is an underlying cream cheese flavor to every bite (though it's mild so far). I take a big bite, sticky bun dough and all, and I like it. It's a nice sweet flavor and I always enjoy those. 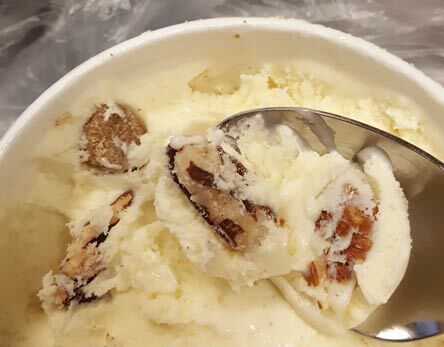 Let me get another bite with dough and pecans.... mmmmm, #funfactor. Whoa, those are some big pecans. I don't eat a lot of pecans, but these seem like quality/fresh ones. 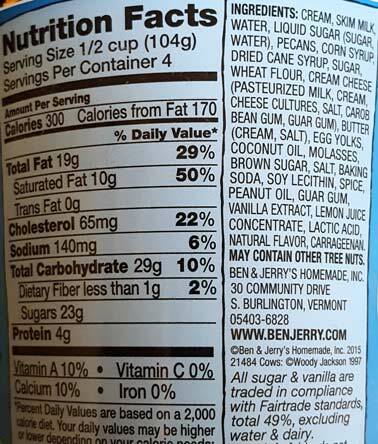 For me, sometimes butter pecan flavors can be a little overbearing, especially when rocking a heavy salt vibe, but this is cool. It feels fun, it feels fresh, and it feels unique. 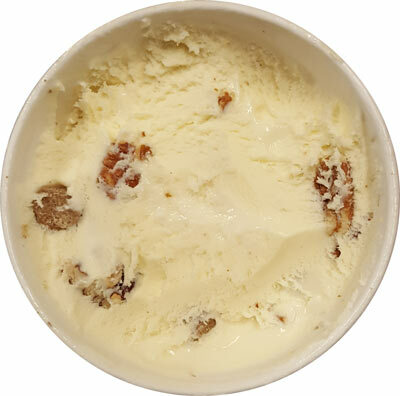 Pecans may not be everybody's thing, and you may not necessarily think cream cheese on your sticky buns, but man I could easily plow through this sweet pint. I keep getting these blasts of sugary goodness and it's really enjoyable. I'm kind of surprised this is an exclusive flavor, it could definitely hold it's on in the main line up. I'm not really sure what you would complain about on this one unless you find it too sweet. 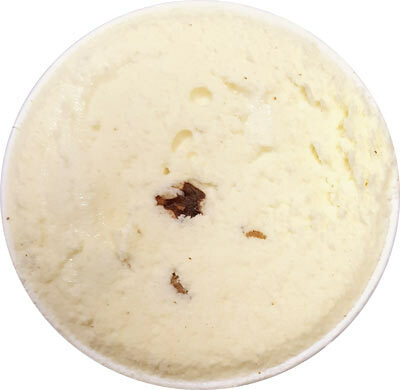 Obviously if you don't like butter pecan ice cream, don't pick this up. 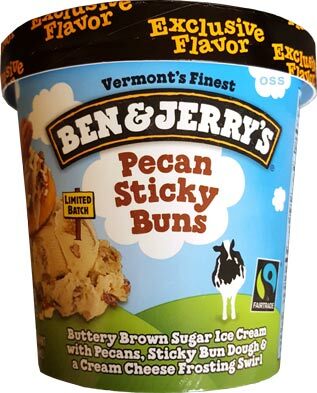 But if you love ice cream and love pecan sprinkled sticky buns, I say go for it. 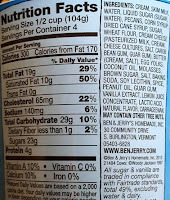 On Second Scoop: Man, if this wasn't 300 calories a serving I so would have destroyed it in one serving, I just enjoy it's sweetness and diversity that much. I think this is such a winner that I would love to see like a companion walnut brownie flavor to go with it or some other neat trick where they mix dough bits with nut bits. What would you want to see? I loved this, so thick and the dough chunks were perfect. Maybe they don't want it in the lineup permanently because it would compete against Cinnamon Buns and they would rather have just one main flavor like this. I loved this as well. I wished for a few more mix-ins in my pint, but it was good enough I purchased two additional pints to have on hand! I'd want to see this available everywhere so I don't have to subject myself to Wal-Mart. It's so depressing that I have to eat the whole pint in the parking lot to cheer up. This flavor is great, btw. Favorite flavor in the entire world!!!!!!!!!!!!!! Tried it for the first time.....I'm on love. I have 2 spoonfuls everyday until it's gone. Just found this at Walmart & it was delicious! The buttery brown sugar base was unique compared to the vanilla & chocolate bases they usually use, the cream cheese complemented the base, & there was a lot of sticky bun pieces.